Skeptics have long proposed that NDEs are dream-like memories of events that never happened or are altered memories of real events which are partly or fully imagined. A recently published study from the University of Liège in Belgium compared the memories of NDEs with memories of others who were in coma without an NDE. They found that memories of NDEs are significantly different from coma patients without an NDE. In particular they have significantly more characteristics, like visual details, memory clarity, self-referential information (being involved in the event) and emotional content. The researchers propose that NDEs can't be considered as imagined events. which have significantly fewer characteristics. NDE events are really perceived but since the events did not occur in reality and likely result from physiological conditions (e.g., neurological dysfunction), the events are actually hallucinatory (see also ULg video). This conclusion is based on assumptions that are inconsistent with other evidence from NDEs. Other interpretations are possible. Skeptics, such as Susan Blackmore and Chris French, have long proposed that NDEs are dream-like memories of events that never happened or are altered memories of real events which are partly or fully imagined. The researchers included 21 patients who suffered from an acute brain insult and coma. The patients were divided into three groups: those reporting an NDE (≥ 7 on the Greyson scale, N=8), those reporting memories during coma but without an NDE (< 7 on the Greyson scale, N=6) and those reporting no memories of their coma (N=7). These three groups were all similar in etiology of the brain insult (traumatic, anoxic, hemorrhagic, metabolic and encephalopathic etiologies), as well as age and time since insult. The 21 coma patients were also compared with 18 healthy control subjects. The researchers measured the memory characteristics of patients using the Memory Characteristics Questionnaire (MCQ), comparing the target memories (NDE or coma memories) versus memories of real events and imagined events (e.g., past dreams or fantasies). The memory characteristics included sensory details (visual, auditory, etc. ), memory clarity (e.g., mentally reliving the events when remembering), self-referential information (memories of being involved in the event) and emotionality (e.g., feeling the emotions of the event when remembering). 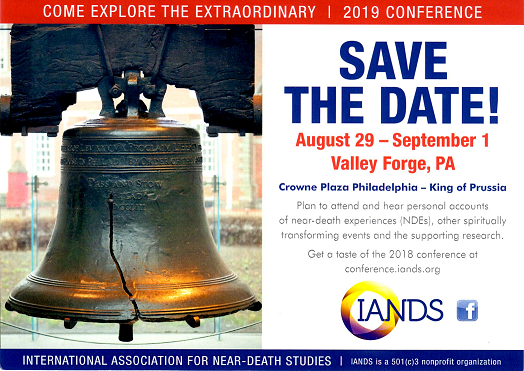 The researchers found that memories of NDEs have significantly more characteristics than both memories of real events and imagined events (p<0.02), that is, in general the NDE memories had extremely high emotional content and were more vivid and "real" to the NDEr, even compared with memories of recent real events. Thus, "NDEs can't be considered as typical imagined event memories". The NDE memories "seem to be unique, unrivalled memories". The memories of NDEs also have significantly more self-referential, emotional and memory clarity characteristics than memories from coma without an NDE (all p<0.02), that is, in general the NDEr remembered being more involved in the event than the non-NDE coma patient. The researchers suggest that "what makes the NDEs 'unique' is not being 'near-death' but rather the perception of the experience itself". Furthermore, since it is possible that the core components of an NDE are neurophysiologically determined (e.g., temporo-parietal junction dysfunction or deficit), then "the subject really perceived these phenomena". However, since the perceived events did not occur in reality, the perceptions are hallucinatory. Indeed, memories of NDEs are likely 'flashbulb memories' of hallucinations. The researchers' conclusions are based on two assumptions that are inconsistent with other evidence from NDEs: (1) that the perceived events do not occur in reality and (2) that NDE phenomena are determined neurophysiologically. Therefore, other interpretations are possible. The first assumption, that perceived events in an NDE do not occur in reality, is not consistent with the veridical perceptions that are reported by NDErs. In fact, nearly all "apparently nonphysical veridical perceptions" (AVPs) are verified when checked. Janice Holden (2009) reported that of 93 veridical perception cases in the NDE literature, 92% were completely accurate, 6% were accurate with some errors and only one case was completely erroneous. The AVPs are frequently of objects or events outside the NDEr's physical line of sight or at a distant location from the NDEr's physical body. Furthermore, previously unknown veridical information received during the "transcendent" part of the NDE (e.g. meeting deceased relatives) is frequently later verified. For example, a man saw and interacted with an apparently deceased person and later found out the man was his biological father who had died in the holocaust (van Lommel, 2010, pp. 32-33). Eben Alexander's experience included both veridical perceptions and an episode of "ICU psychosis". During his recovery, he experienced intense delusions and very vivid dreams but both were completely different from the "astonishing clarity and vibrant richness—the ultra-reality" of his NDE (Alexander, 2012, pp. 117-118). His NDE memories are consonant with the results of this study but point out the stark difference between true hallucinations and NDE memories. The finding that NDE memories contain both more emotional and self-referential information than other target memories is more likely due to the hyperreal and veridical qualities of the experience than vice versa. Alexander, Eben (2012). Proof of Heaven: A neurosurgeon's journey into the afterlife. New York: Simon & Schuster. Thonnard M, Charland-Verville V, Brédart S, Dehon H, Ledoux D, et al. (2013) Characteristics of Near-Death Experiences Memories as Compared to Real and Imagined Events Memories. PLoS ONE 8(3): e57620. doi:10.1371/journal.pone.0057620.